Healthy bites and beautiful smiles to last a lifetime. Welcome to the Orthodontic Solutions website. Whether you are one of our patients or just looking for more information about orthodontics, we hope that our site is helpful to you. Please feel free to contact us for more information. Dr. Krebs provides orthodontic treatment for children, teens, and adults. We use the most current and proven techniques to create straight teeth and a properly functioning bite. The orthodontist personally manages every case and sees each patient at every visit. 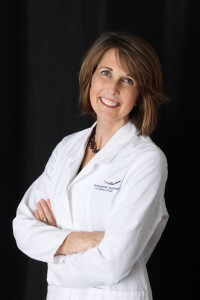 You will find that Dr. Krebs is extremely caring, knowledgeable and highly skilled. Her top-notch credentials, paired with her warm and caring demeanor, ensures that all of our patients get the best results possible. We would like to invite you to take advantage of our complimentary consultation to learn if you or a family member could benefit from orthodontic treatment. Come meet us and you’ll see how we provide personal orthodontic care, utilizing the most up to date and aesthetic techniques to create beautiful smiles and healthy bites.